After receiving day-old chicks & poults everything on the farm changes. The sounds, the hustle, the excitement are all kicked up a notch! The chicks grow in the brooder and are then moved to the pasture. 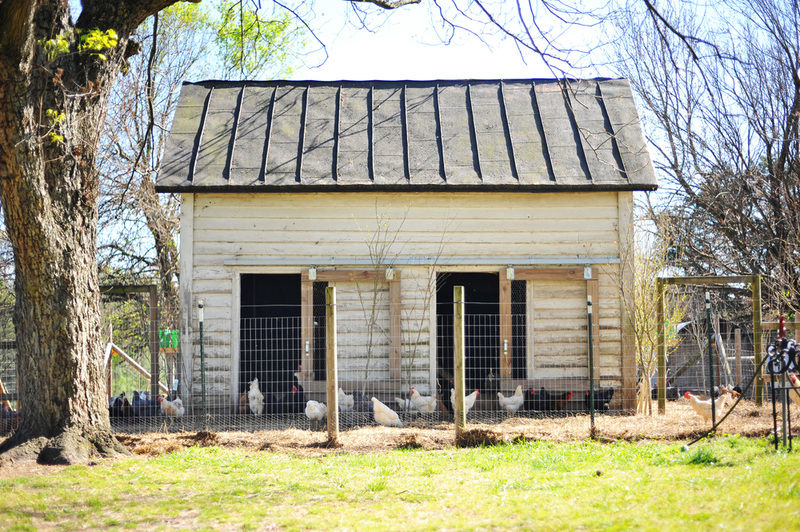 Each day the chickens are moved to fresh green grasses, fed non-GMO grains, and receive fresh water. Never any antibiotics, or hormones added. They are then harvested on our farm and delivered straight to you! Fresh turkeys are available for Thanksgiving! We currently offer whole chicken & turkey, chicken & turkey parts & organs. Now offering nutrient dense, delicious Chicken Stock. 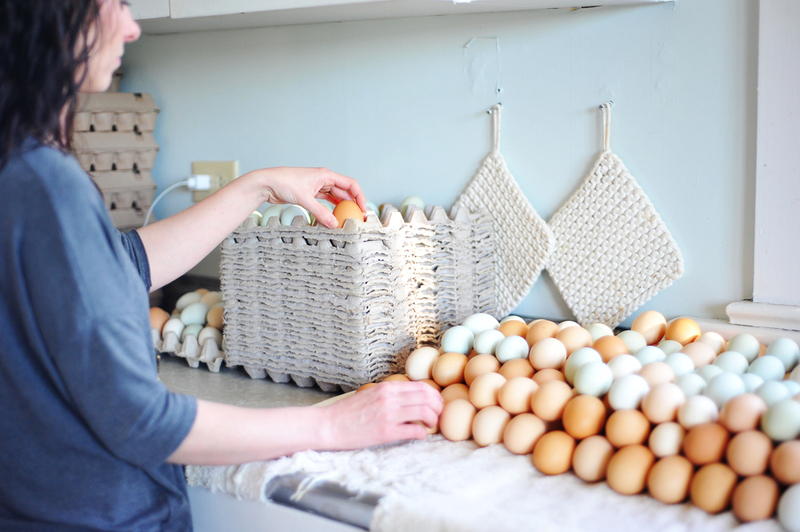 With over 200 laying hens now, eggs are in supply! The hens live on pasture, they roam the fields within electric net fencing for protection, and they love their life. 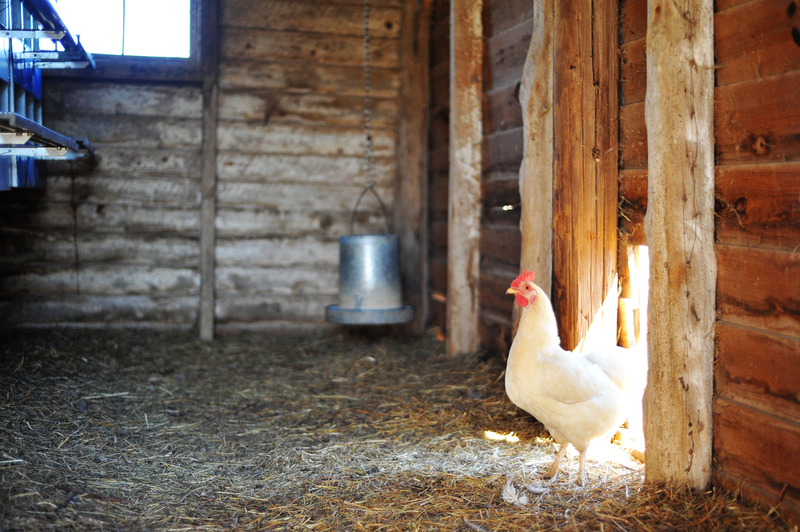 Fresh grasses, bugs & non-GMO grains create the happiest chickens which provide the best eggs! 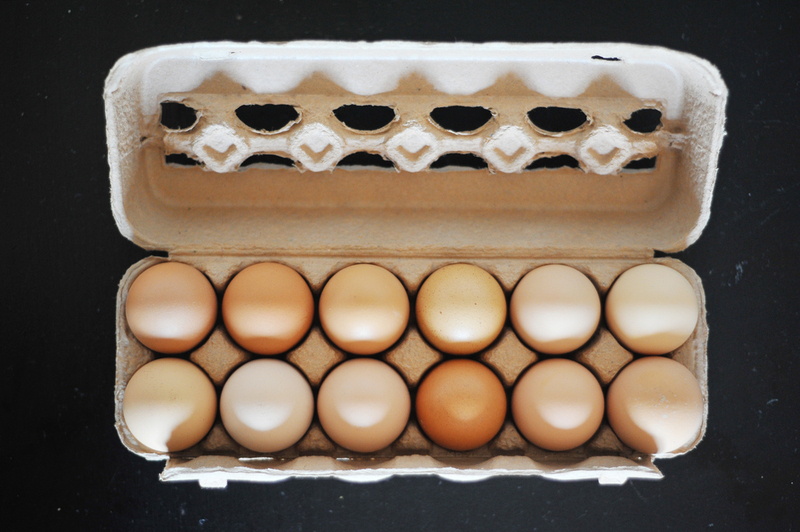 The eggs range from light brown to dark blue! The rich dark yolks make the best eggs you’ll ever eat. Newest to the farm are hair sheep. Now on the 3rd generation of lambs born and raised right here on the farm. The sheep are rotated around the fields to receive the best green grasses, and are fed hays in the winter that has been baled from our own fields. No chemicals, antibiotics or hormones needed. We offer whole lamb, half lamb, and lamb cuts. While we do not have a farm store, we are happy to show you around the farm and fill your orders. Meet us every Saturday April-October 2017 at the Forest Farmer's Market in Forest, VA. Our eggs are currently being stocked at Health Nut Nutrition in Lynchburg, VA. Orders are also being accepted at Vital Edge in Altavista, VA. Check social media and subscribe to our newsletter for updates! Place an order online by filling out our order form. A payment of cash, check or credit card is due upon pickup. We also perform weekly deliveries to the Lynchburg, VA area. Minimum order to qualify for delivery is $25. Group pickups are encouraged. 1 lb of fresh jalapeno chicken salad. Average weight is 4lbs. Orders of 10+ chickens $3.50/lb. 1 Whole Breast per package. Enter the number of packages you'd like. 2 Breasts per package. Enter the number of packages you'd like. 8 Tenders per package. Enter the number of packages you'd like. 8 Whole Wings per package. Enter the number of packages you'd like. 2 Quarters per package. Enter the number of packages you'd like. 4 Drumsticks per package. Enter the number of packages you'd like. 4 Thighs per package. Enter the number of packages you'd like. Frozen 1 pint containers. Enter the number of containers you would like to order. Enter the number packages you would like. 12 Feet per package. Enter the number of packages you'd like. Approximately 1 pound packages. Enter the number of packages you'd like. Average 4 lbs. Whole Non-GMO pasture raised Duck! 2 Steaks per package. Enter the number of packages you'd like. 2 chops per package. Enter the number of packages you'd like. 2 shanks per package. Enter the number of packages you'd like. Approximately 2-3 pound roasts. Enter the number of packages you'd like. Bag of Lamb Bones // Great for soups! Thank you for your order! Payment is due upon pickup or delivery. We accept cash, check or credit card. Jeremy & Tiffany Davis met in 2004 while attending Liberty University. After dating for nearly 4 years, the two were married in August 2008. Jeremy grew up in Forest, VA and has had chickens of his own since he was 11 years old. His childhood dreams of being a farmer – turned to grown up dreams of college, resulting in a history degree. However, conversations about chickens, animals and how to maintain land using animals was like lighting a fire. When the opportunity to purchase land in Chatham, VA presented itself – they took it. Within months a neighbor had given Jeremy 10 chickens again – and the rest is history! Tiffany grew up in Chesapeake, VA. She received an accounting degree from Liberty University and has worked as a bookkeeper in many capacities since high school. Farming was never on her radar. 300+ chickens, 50 sheep, 2 dogs, 2 cats & 3 kids later – it is her life. Sometimes the things that are not on your radar are the things that God uses to show you the most about Himself and His Creations! Jeremy & Tiffany now have 3 little girls, Jane, Johanna & Julia. God has truly blessed their home. 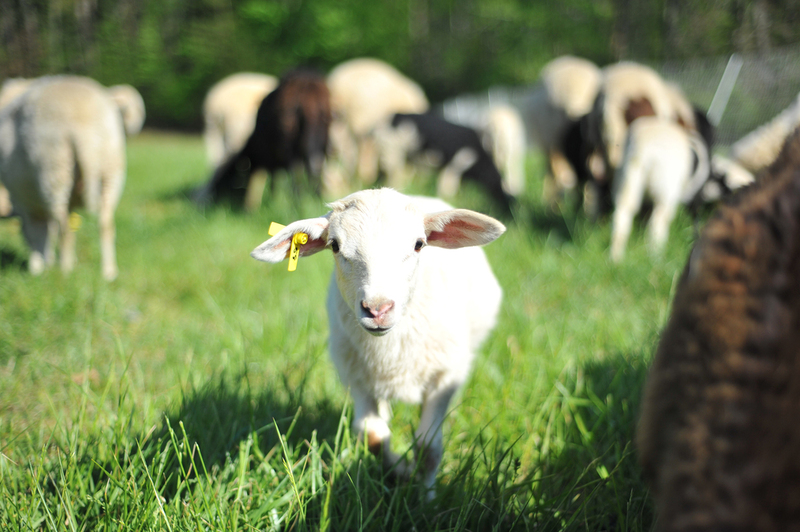 While a natural love for animals and farming are a necessity to operating a small family farm – there are other reasons we choose to farm. One reason is controlling what we eat! The health and well-being of the animals and products we put into our bodies is as important to us as how good it tastes. We choose to avoid chemicals in as many areas of our lives and farm as possible. We do not use genetically- modified feeds, antibiotics or hormones. In addition, we allow the animals to maintain the land God has loaned to us. Through rotational grazing and periods of rest we are able to sustain our flocks using our land. The chickens and the sheep work together and provide us (and you!) with some of the best eggs, chicken, turkey & lamb we could imagine! It would seem inappropriate not to include a thank you to each of our customers. We are so thankful for the opportunity to provide your family with wholesome foods. Our family is so thankful for you! To our families - thank you for the unconditional love and support – we feel it! To all of our fellow farmers – thank you for your encouragement and adventure sharing! To our friends of many talents – thank you for all you have offered to us to make 'Wild Roots' a real thing! © 2016 Wild Roots Co. All rights reserved. Be the first to know when and where we're selling our products, plus get updates on our farm.